This page covers three artists. 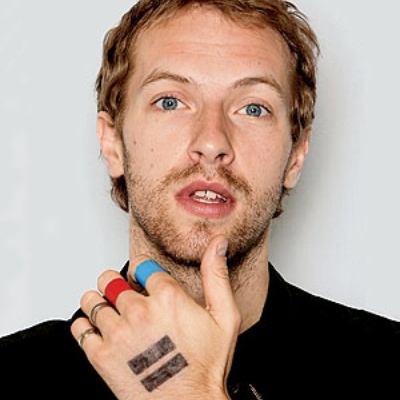 The first is Chris Martin, the person. He's the lead singer of the band Coldplay. Coldplay While studying at University College London, Martin met Jonny Buckland, Will Champion and Guy Berryman. In 1997, they formed the rock band Coldplay. The band has had internationally recognized fame and success since their debut album, Parachutes, in 2000. Since then, they have released three further albums: A Rush of Blood to the Head, X&Y and Viva la Vida or Death and All His Friends.